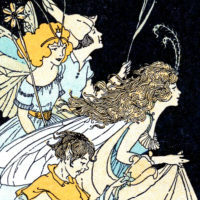 Vintage Fairy in a Flower Blossom Hat Label! 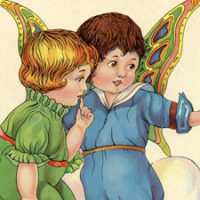 Today I’m sharing this Vintage Fairy in a Flower Blossom Hat Label! This adorable fairy is flying through a garden wearing an upturned yellow blossom as a hat. 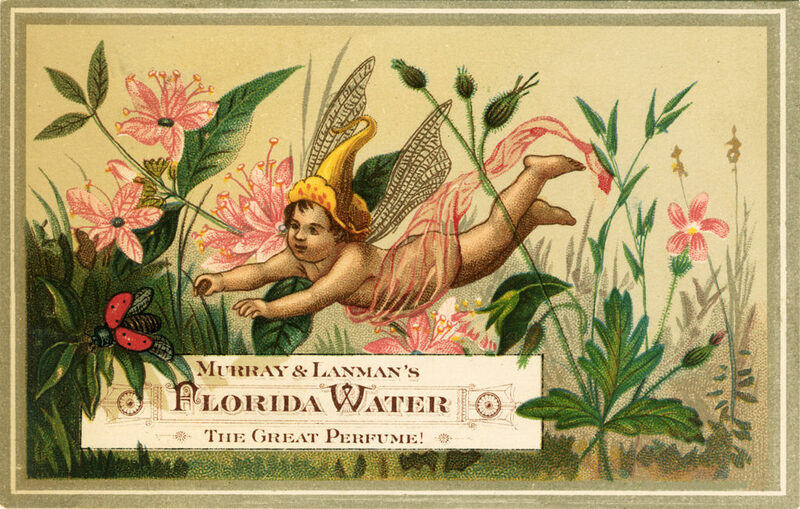 A ladybug with outspread wings rests on a text box saying, “Murray & Lanman’s Florida Water The Great Perfume.” The type is beautifully adorned. So nice to use in your Spring Craft or Collage Projects!